Hire variable message signs (VMS) from MVIS for the effective management of sporting fixtures, stadium events and festivals. MVIS helps event management companies manage crowds and promote event safety by providing up-to-date information and traffic management support, ensuring your event runs as seamlessly and profitably as possible. Our temporary variable message signs (VMS), in five colours or standard amber, can be instantly updated making them ideal for last minute changes. Solar powered colour mobile variable message event signs also add visual impact to special promotions and are a powerful tool for increasing brand awareness. Product Advertising – no matter what product you’re selling, our mobile colour variable message signs are a great way to advertise. The colour matrix displays and the sheer size of our boards are sure to attract attention. Special Offers – have you got a great deal to shout about? Our mobile colour variable message signs can be updated quickly and easily so once the offer has finished you can change your message. Instantly! Tickets on Sale – festivals, concerts, sporting events or country shows, our portable colour variable message signs can be located anywhere, enabling you to communicate your event to any audience. 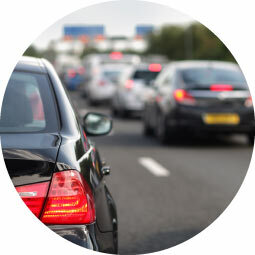 Traffic Management – get the message across and keep visitors to your event happy by ensuring good traffic management to and from the venue with our mobile colour variable message signs. To hire mobile colour variable message signs (VMS) get in touch for a free, no obligation demonstration.